This charming fedora is artfully crafted of soft, smooth, refined Toyo straw, and makes you feel like you're on an island getaway every time you wear it. 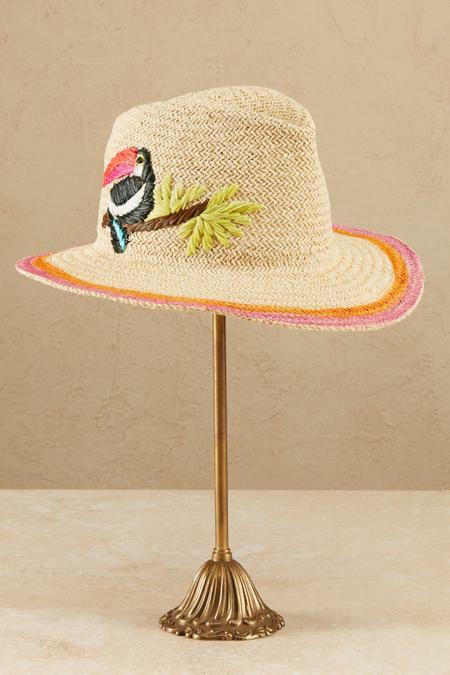 A colorful toucan resting on a palm is hand embroidered along with two bright rings of Caribbean pink and tangerine around the brim. Designed to be a stylish mood elevator.